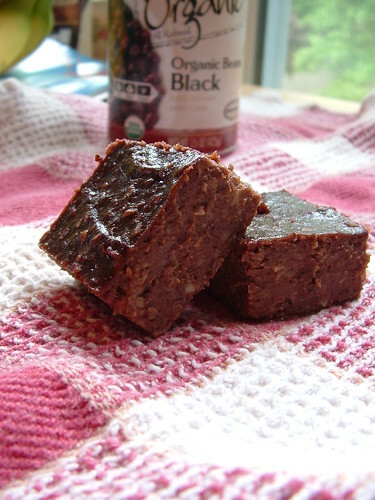 black bean… brownies? | rocket ship go! Mmm. I love how fudgy black bean brownies are! So they ARE fudgy then?? That’s just how I like my brownies… maybe I’ll try that recipe!! They are fudgey, but not quite as dense as fudge… like smoother and creamier. It’s interesting. 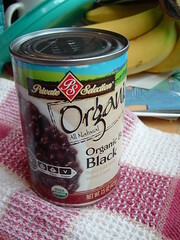 Hmmmm… I’m still not sure about the black bean brownie thing, but your pictures might change my mind. OHMYGOSH! Bless you! Those are sooooo wonderful. I’m on a GF, and temporarily very restricted rotation diet with few things on it (because of food sensitivities), and other than just plain old whole foods with no spices or combinations of things, this is one of the few recipes I have found from which I can eat everything. I made them this week and LOVE them. I was so happy to have a sweet treat! I used maple sugar instead and used 1/4 cup (can’t have cane sugar at the moment), and they were still so good. Thank you, thank you, thank you. Know this is very late, but I’m still so glad to help! Hope you are well. I have made these and called them fudgey wudey as that is exactly what they are, although I used baking powder to make them rise a little. I also have made an orange and lavender cake with white beans. Bean cakes always seem to need longer to cook than you think, but they do firm up very fast once you take them out of the oven.